History of art doesn't have to be sooooooo boring! I will be talking about exciting subjects within the art worlds past history. Listen, if you're gonna paint, you gotta know a little bit about this stuff. At least for small talk at the gallery when you're showing off your work. You can bring up a subject and actually entertain those listening. You won't have to resort to "art speak" which usually is a lot of gibberish about nothing. I promise, I'll do my very best not to have you so comatose and drooling on yourself as you did in those art history classes in school! My articles here will always have a bit of a twist, and hopefully, while you find the twist entertaining, you'll also be educated a little bit more on this wonderful thing called ART! Click this link Modern and Abstract Art to learn more about this fantastic and exciting genre of art! It's not about figuring what the artist painted. Then, cross over to an article on the New York scene. You'll be surprised (as I was) to know who/what really funded one of our greatest art movements starting in New York. And they thought it would destroy us! If you're really interested in how the modern art movement began in this country, take a look at some very interesting things I've found. As I've heard so many times in today's world, always follow the money! As I dig up more juicy details, I'll pass them on to you. 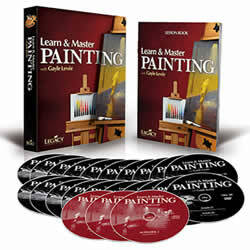 I've just completed a 4 article report featuring Leonardo Da Vinci's paintings. Who really is that person seated to the left of Jesus in "The Last Supper"? You will be pleasantly surprised to learn all the details surrounding this painting. Who/or What was Leonardo Da Vinci really in love with? Leonardo painted only 17 paintings, can I really see a real one? Leonardo Da Vinci, Renaissance Man, part 1 of 4 part series. Leonardo Da Vinci, The Mona Lisa part 2 of 4 part series. I'll continue from time to time to dig up some more interesting facts about the History of Art here in America, and around the world. It will take time, but bear with me, I do need to finish that commissioned work this week! 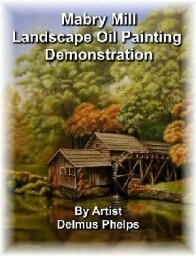 Why not subscribe to my e-zine that will be published monthly to give you the latest updates to my site here at easy oil painting techniques, and any new demonstrations. The site is expanding almost daily, so you really don't want to miss out. Thanks for joining me on this road to artistic freedom! Click here to go to the top of our Short history of art page.